We offer an 18-month Programme, compatible with a personal and professional life balance, thanks to classes taking place on a long week-end every 3 weeks in Brussels. 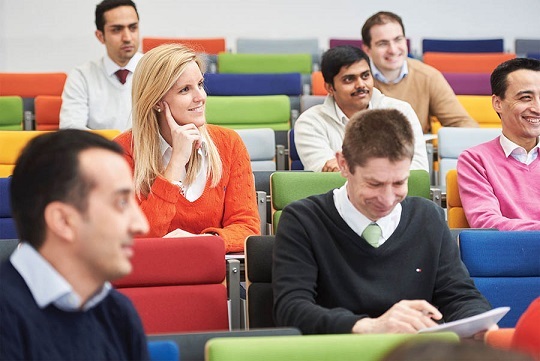 Solvay Executive MBA is directed towards dynamic managers and executives who are looking to advance in their career as well as to improve their knowledge of the latest management tools. It is also tailored for professionals who want to advance their career into a management position or to change their current field or career path. Solvay Executive MBA will make you a world-class leader and give you a competitive advantage in the international employment market. Management skills are no longer enough. You need to turn your talent, achievements, character, and potential into a valuable position that puts you in the forefront. With the Career Advancement Programme, you will receive professional coaching and methods to meet the market with clear goals, superior skills and the confidence to win the challenging and rewarding opportunity you seek. Leadership skills and diligence, coupled with the ability to work under stress. We aim to create a community of participants that would contribute to the diversity and uniqueness of the MBA programme. Therefore, the Admission Committee will meticulously examine the biographical and academic background information, GMAT score, achievements, awards and honours, employment history, and letters of recommendation.